One of the questions I get asked quite a lot is about budgets for educational makerspaces. We are doing this on a shoestring, is that OK? We don’t have any money, is it still worth doing? My first reaction is typical, I think – of course go for it! No one should be prevented from having a great hands-on learning experience because of lack of funds. There are lots of things that can be repurposed and borrowed. In fact, recycling is a hallmark of the “maker mindset.” Doing more with less is a worthy engineering constraint that develops ingenuity and practical skills. However, I think there is a “yes… but” that should be understood. When educators are trying to change culture and practices in an organization, it matters that you acknowledge the size of the shift you are trying to accomplish. A bigger shift requires a bigger and more explicit commitment, and having a budget is a visible and commonly understood sign of commitment. Whether it’s wanting STEM courses to be more inclusive or shifting teaching practices to be to more project-based, it’s about how far you want to go from where you are. You want big changes? Do big things. Of course, it’s not always about money. Your commitment might be towards long-term professional development, but that’s a commitment of time, an even more precious commodity. But wait, there’s more! – Want to hear more about making, makerspaces, design, and STEM? 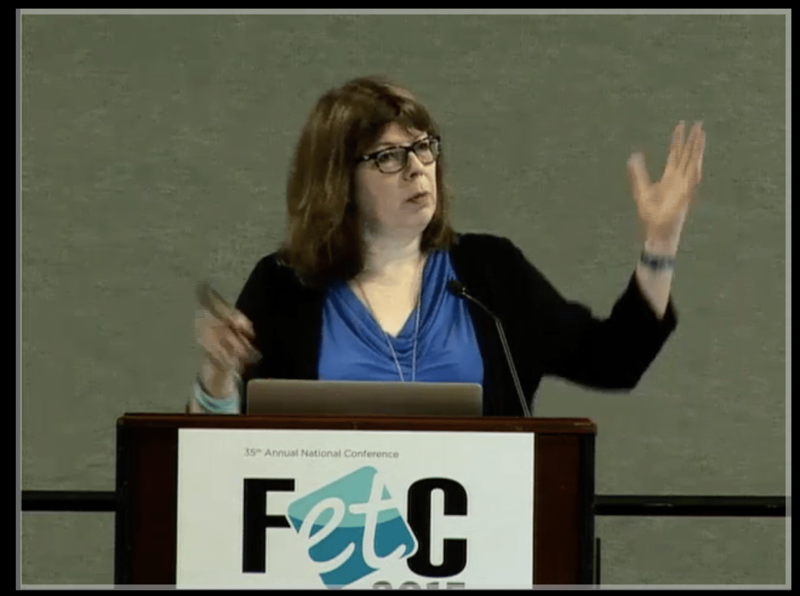 Come to FETC in January – I’m leading two workshops and two sessions! Find the money and strategies to fund your makerspace in my FETC2017 workshop, W109: Grant Writing For IT Professionals: Building Your Funding Toolkit. Tuesday, Jan. 24, from 8 to 10:30 am in Orlando. http://www.fetc.org Also check out the great resources at http://edweb.net/getedfunding to learn more. Great idea and resources! Thanks, Rita. I limped along with my MakerSpace on a budget of less than $1000 a year for four or five years. And then I was promised $20,000 to really ‘build out the lab’ and make it awesome. I presented the plan… and the money went away. I think we were offered $3000 in the end, and we had to use it right away. So, I used the Maker skills I’d acquired to build out the lab — built our own workbenches, worktables, shelving, and storage, on time and under budget. Most of the tools came from local yard sales and tag sales too, so we really wasted nothing of the school’s money. And people were really amazed at what we were able to do. I think it’s really important to start small. At first, an empty room with junk furniture, a stack of cardboard, and some chairs or stools is probably enough. Make origami. Build architectural models out of cardboard. Teach perspective and isometric drawing and geometry. Collect furniture designs and figure out what tools you need… and then, once your skills have reached the right point, you’ll be ready to build.